This 'Indian' dish is said not to have originated from India! It is said that it does not even exist in India and if you ordered it in a restaurant there, chances are that they would not have even heard of it! Chicken Tikka-yes, but Chicken Tikka Masala-no! But in August 2009, I heard that it is Indian after all! The recipe is claimed to be a family recipe of a chef in Delhi. They have been making it at their successive restaurants for a few hundred years, from the days of one of the Mogul emperors of India! 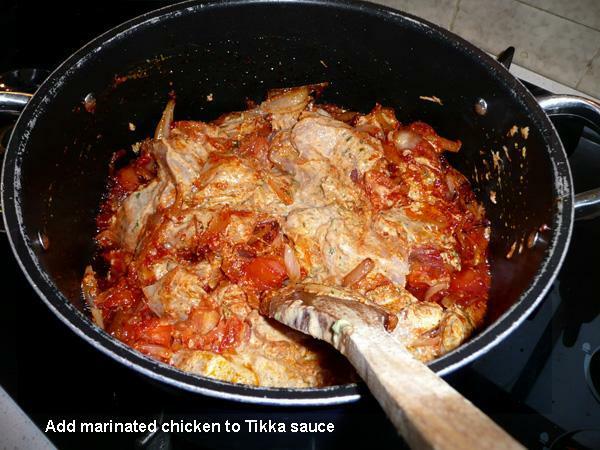 The story one hears in UK is that Chicken Tikka Masala, or CTM as it is known in short, is one of those dishes that was invented for British palate by an astute Bangladeshi chef. 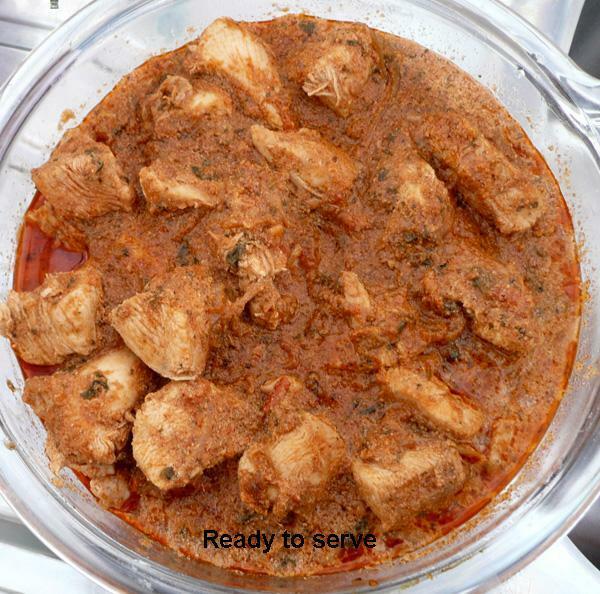 When a customer in his restaurant was served Chicken Tikka, a well-known Indian dish, he complained, â€œwhere is my gravyâ€? The chef called the dish back to the kitchen, just added some fried onion, ginger, garlic, added a little of tinned, Campbellâ€™s Condensed Cream of Tomato Soup, a few more curry spices, re-heated it and sent it back to the ignorant customer. He loved it. 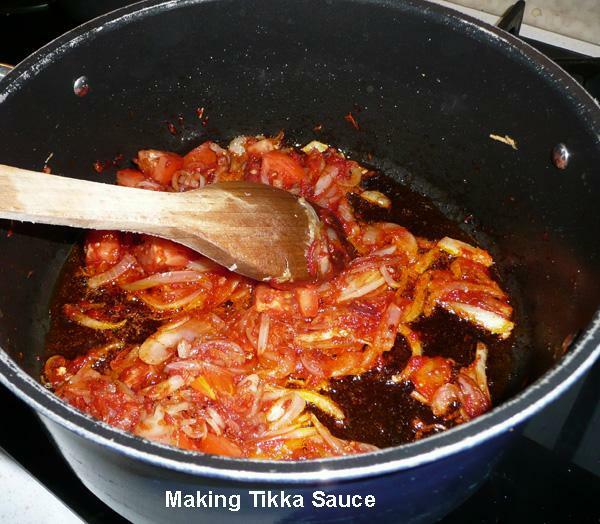 Chicken Tikka Masala was born! Some say that it was invented in Glasgow by a man called Sultan Ahmed Ansari, who ran the Taj Mahal restaurant in the 1950s. But who knows! There is no verifiable evidence to support any of the stories associated with this dish. 200 gm. natural yoghurt or dahi. Creamy yoghurt is better. If you don't have it, hang the yoghurt in a muslin cloth or handkerchief for 30 minutes or so to remove excess water. 2 tsp. sweet paprika powder for colour (I do not use artificial colouring in this dish). *You can add 1 can of 'Condensed Cream of Tomato' soup to replace these two. 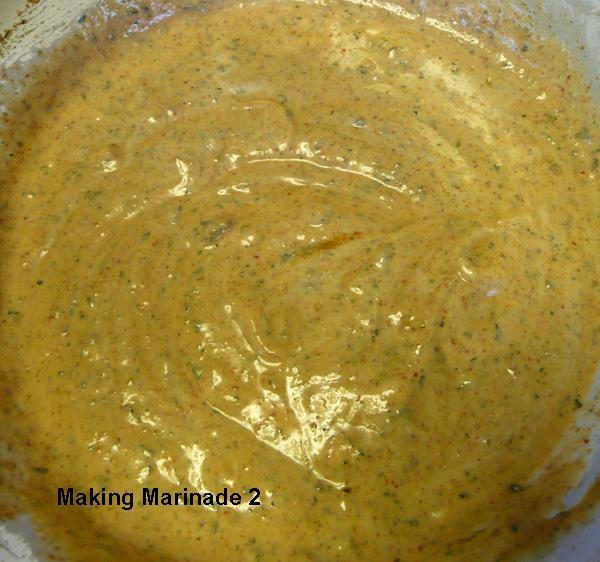 Mix all marinade ingredients in a large bowl, mix to make a paste. Add chicken pieces, mix to coat and marinate overnight or for at least a few hours. Keep in an airtight container, to avoid the smell getting into everything else in the fridge. Allow it to return to room temperature before cooking. 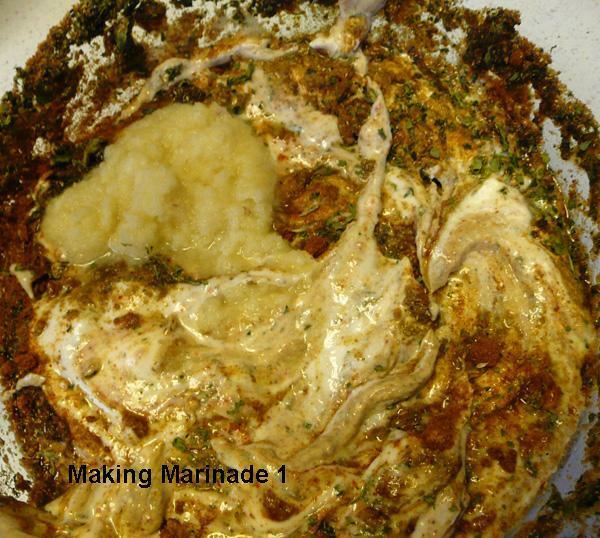 Traditionally, marinated chicken is cooked on a barbecue/tandoor or in a preheated grill or a very hot oven (maximum temperature) first and then added to the sauce at step 8. I find that you don't have to cook it first and the end result is almost as tasty. Heat oil in a large wok or pan. Add cumin, cardamoms, bay leaves and cinnamon stick. As soon as cumin seeds crackle add onion, ginger and garlic and fry until nicely browned. 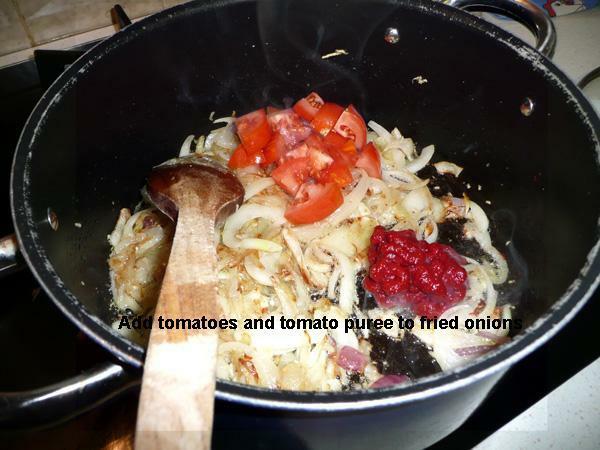 Add Tomatoes and tomato purÃ©e (or tinned â€˜cream of tomatoâ€™ soup) and cook for a few minutes. Add the cooked/uncooked chicken pieces and its marinade to the above sauce, stir fry on high heat for 6-7 minutes. 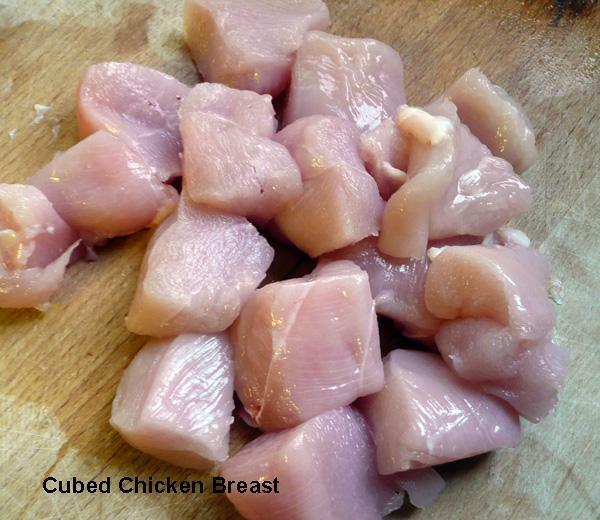 Continue to cook briskly until the sauce thickens and the chicken is tender (pre-cooked chicken will require less time). If the gravy looks too thick, you may need to add a little water or chicken stock. If it is too thin and you can't thicken it easily, add a teaspoon or two of corn flour dissolved in cold water and bring to boil. The sauce should be of custard like consistency. Taste and adjust spices and salt. Garnish with coriander leaves and serve hot with Nan or Plain Pulao/Pilaf Rice and sliced onion salad and slices of fresh lime. *You can add 1 tin of tinned Campbellâ€™s tomato soup to replace these two.